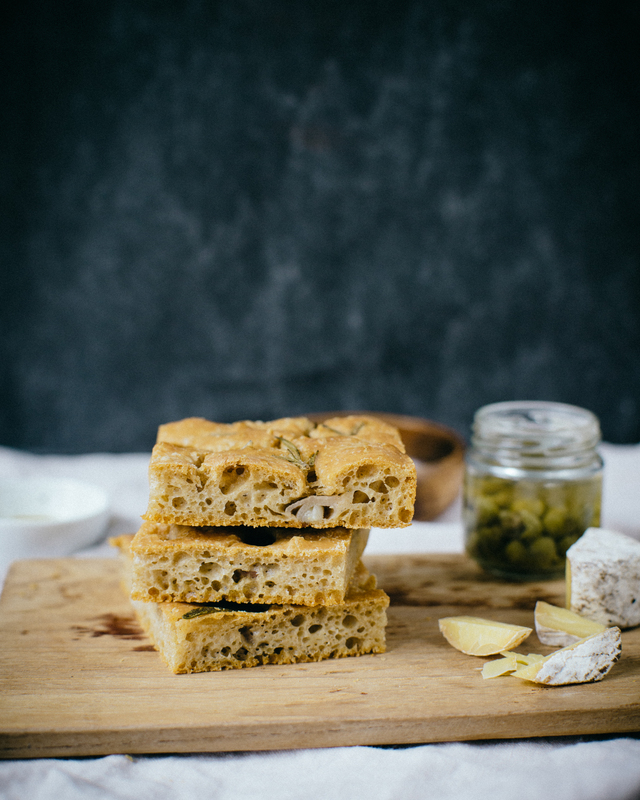 Perfect for aperitive and tasty, this sourdough focaccia with shallots, olives & rosemary will be gone in no time. 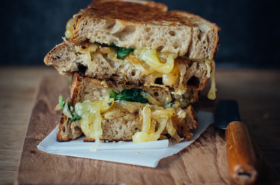 Now that my sourdough is strong enough to easily bake with, I’m exploring new recipes that are slightly more original than the classic sourdough bread version – which I totally worship, if only for the huge toasts that I can make with! 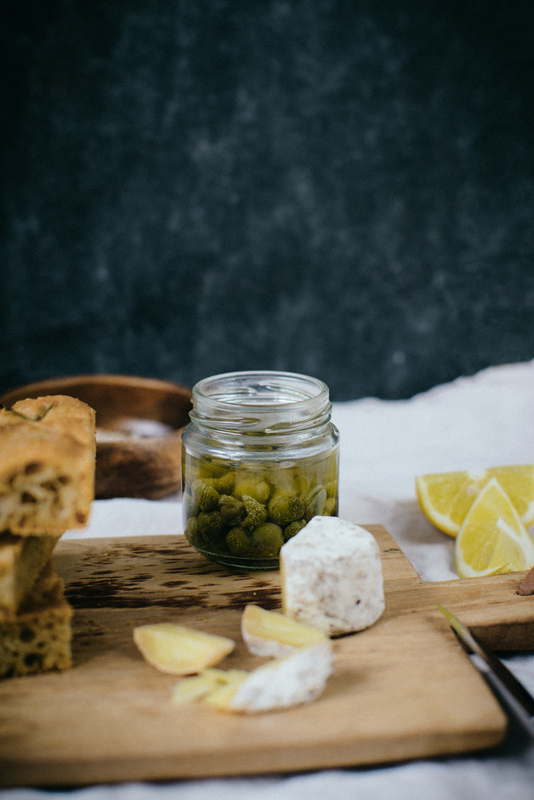 Lately, I’ve been using mostly 2 sources for sourdough baking inspiration: the amazing blog of Maurizio, The Perfect Loaf, and the book of Emilie, Artisan sourdough made simple that I have for a while now. 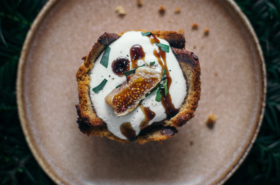 As far as I like this one for all the various recipes that are also easy to make, the preparation/bulk fermentation processes are very simplifier compared to the ones shared on Maurizio’s website – which is indeed very convenient when you’re a sourdough beginner. Since I’ve started to follow the recipes from The Perfect Loaf, I’ve noticed that the rest/bulk fermentation processes as well as the final characteristics of the bread are relatively different from what I was used to know so far. 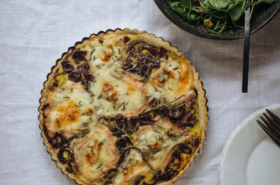 The steps are also longer and much more precise, I personally can’t make the recipes every single weekend, but it’s definitely worth the amount of work spent on it. 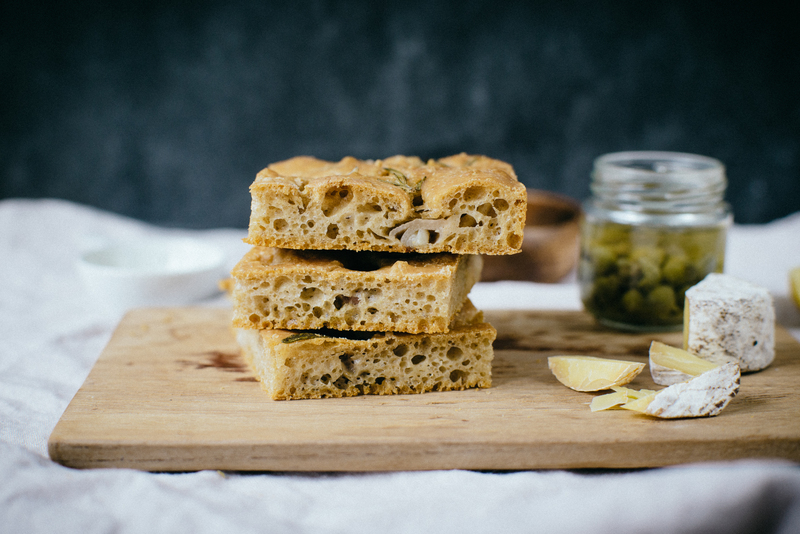 For this sourdough focaccia with shallots, olives & rosemary, I relied on Maurizio’s basic sourdough focaccia recipe that I slightly changed depending on how the dough looked like during the fermentation process. 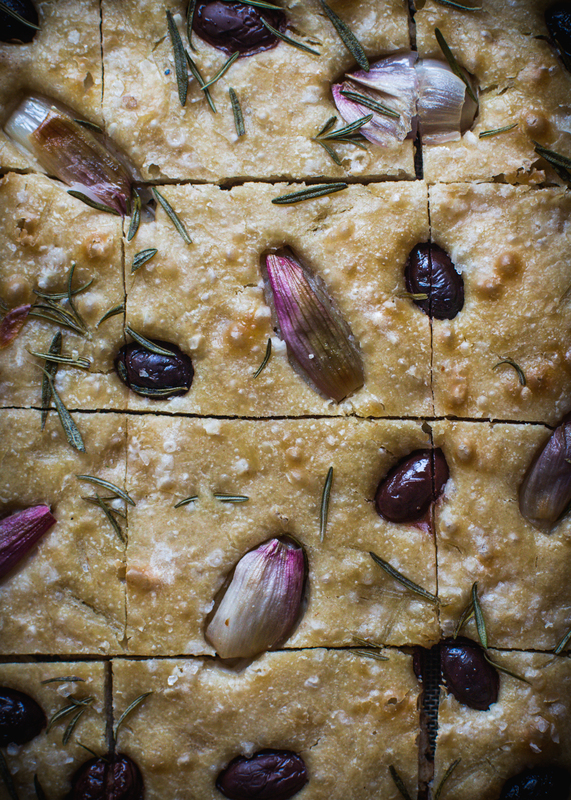 Originally, this focaccia was supposed to be a “fridge leftover” focaccia, but I have to admit that the shallot, olive & rosemary association turned out really well. 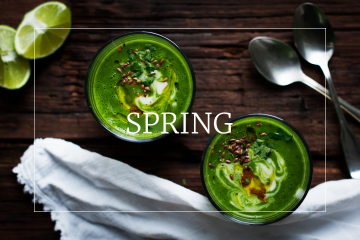 You can adapt the rest/bulk fermentation times accordingly, depending on the room temperature in your kitchen: it’s going to take longer if the temperatures are chilly. 1. Add mature sourdough, flours, water (keep 50g for later) and salt in a salad bowl. Mix well with hands, until it forms a uniform mass, then turns slightly elastic. Once the dough gained strenght and elasticity, add the rest of water, knead, then add olive oil. The oil should be totally incorporated after kneading for a few minutes. Cover the bowl and rest for 30 minutes. 2. After 30 minutes, stretch the dough then fold it on itself - repeat the process a few times so that it will strenghten. Cover and repeat the operation 3 times every 30 minutes. 3. 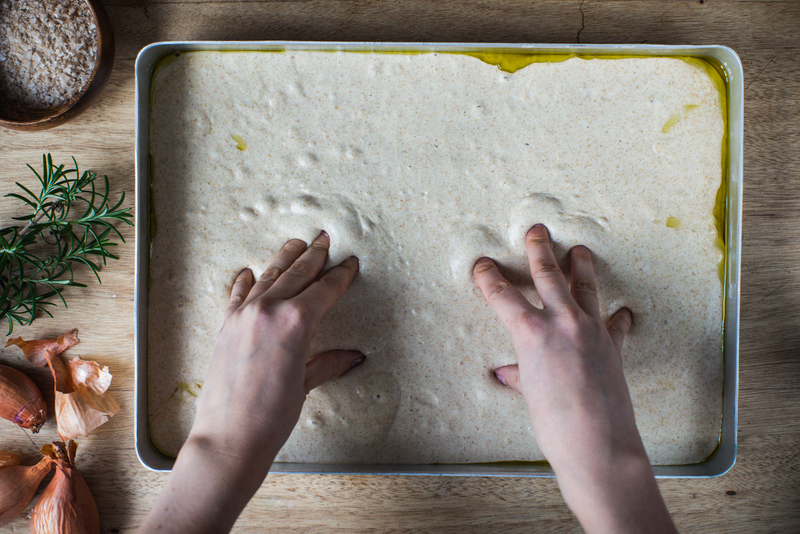 Transfer the dough into a rectangular pan, generously oiled. Cover and rest for 2h, while gently stretching the dough every 30 minutes towards the corners. 4. I changed a bit the process then by sprinkling some flaked salt onto the focaccia dough. 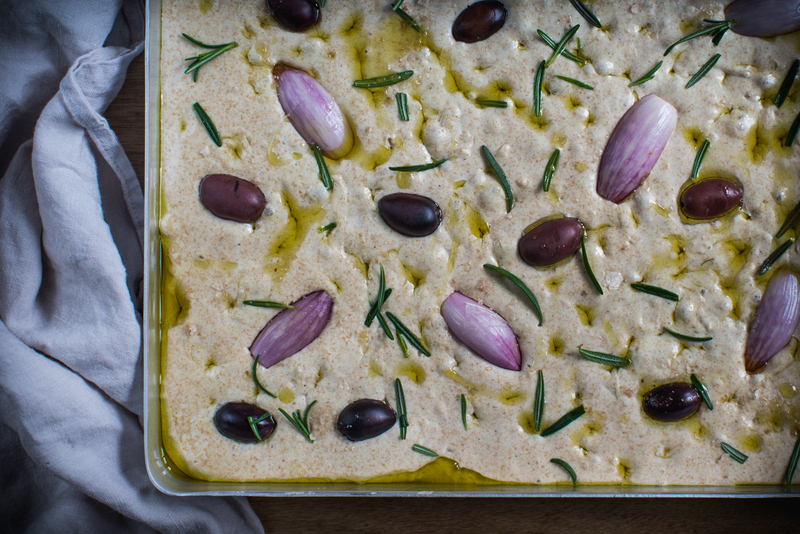 It will get into the dough during the proofing and will add a subtle extra sourness to the focaccia after being baked. Cover again and let proof for 4-5h or until the dough gets very gassy - depending of the prooding environment. 5. Preheat oven to 230C. Using your previously oiled fingers, gently press to the bottom of the pan to make regular dimples. Add some pieces of shallots and Kalamata olives between the dimples, press gently to make them stick. 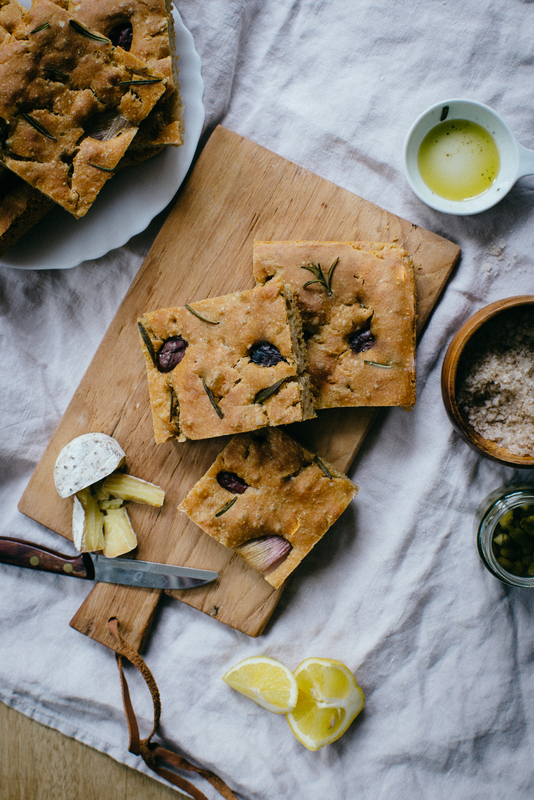 Pour a drizzle of olive oil on top of the focaccia, then sprinkle with fresh rosemary. 6. Bake in oven at 230C for about 30 minutes, until the sourdough focaccia gets a nice golden color. You can enjoy it warm or cold.